Description More physics puzzle levels to keep shapes in balance. 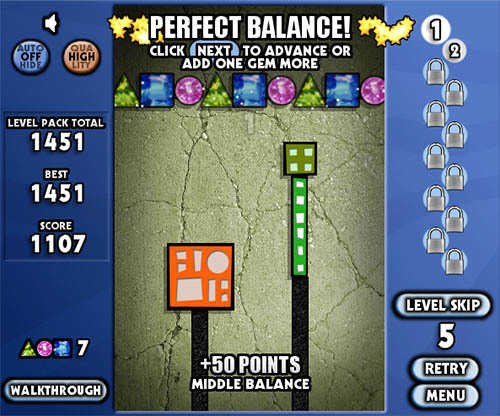 Enjoy the creative levels and place extra gems to earn more points. Controls Use the mouse, drag shapes to their places and keep them in balance.